What is point of sales Malaysia? Point of sales, popularly known by its abbreviation POS and also known as point of purchase, is nothing but the place as well as time in which a retail transaction is finished or completed. The merchant calculates the amount that the customer owes and needs to pay; once the amount is calculated, an invoice is prepared for the customers. This invoice is generally a cash register printout and indicates different options available for the customer to make the payment. In simple words, it is the time, or point, at which the customer needs to make the payment to the merchant for the goods he has purchased or services he has enjoyed. Once the payment is received by the merchant, he gives a receipt for the transaction made. This receipt is usually a printed one, but may be electronic at times. Point of sales is quite an important concept in all the locations around the globe and is traditionally adopted in countries like Malaysia. The moment you search for point of sales Malaysia or POS Malaysia, you are allowed to go through websites of various shops (both online and land based) where this concept is adopted to ensure the transaction is carried in a good way. How is point of sales carried? In order to calculate the actual amount that the customer owns, merchants use weighing scales, scanners, manual cash registers, electronic cash registers or bar codes. Once the amount is revealed to the customer, he makes the payment with the help of various other hardware or software options, EFTPOS (electronic funds transfer at point of sale) terminals or touch screens. Why is point of sales important? POS is important because unless the customer knows the exact amount he needs to pay for the products he wishes to own or the services that he has enjoyed, he can’t pay the merchant for his products or services. On the other hand, if the merchant is unable to tell the customer how much he owes him, he is unable to receive money for his products or provided services. Moreover, POS allows both, the merchant and the customer, to keep a track of sales and/or purchases. • Earlier, proprietary software controlled all the cash registers at different stores; these cash registers had limited functions and could not give in-depth reports related to different transactions. • In the year 1973, IBM came up with store systems named IBM 3650 and 3660. They were nothing but mainframe computers specifically designed and used to control up to 128 IBM 3653/3663 point of sale registers. By mid of 1974, the system was installed and used in Pathmark stores, New Jersey. The system was also introduced at Dillard’s department stores and was successfully used. • In the year 1974, a special system was built for McDonald’s Restaurants. This system was built by William Brobeck and Associates. The system used Intel 8008, which was quite an early microprocessor. Every restaurant had a separate device and every device displayed every customer’s order. From small fries to large Coke, everything was shown on the device for better tracking of order and transaction. • Just like the system was introduced in different chains of McDonald’s, it was introduced in various other restaurants, food chains and stores. However, the systems were old and could not do the things that the latest and modern systems do. • Modern software was introduced after 1990s. 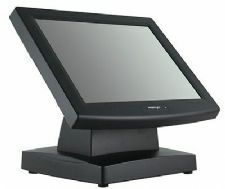 Martin Goodwin and Bob Henry came together to develop the first point of sale software especially for Microsoft Windows. Right from that period, various POS applications have been created and developed and all these applications run on platforms like Unix and Windows. Various developments have been brought to make the POS process easier for shop owners.